Our Pujya Gurudev, along with our spiritual upliftment, also guides us how to live a healthy life .. Through Mantra-Diksha, the Guru rekindles the dormant powers of the aspirant. Diksha is composed of two syllables, ‘Diksha’, ‘Di’ and ‘ksha’. ‘Di’, means what is given or the person capable of bestowing divine grace. And ‘ksha’ means one who is capable of assimilating. On one side is the benediction of the one (The Guru) who is capable of imparting the Lord’s grace and on the other hand is the assimilating capability of the aspirant. The combination of these two is Diksha. When the Guru initiates His disciple with the mantra, He also bestows His sensitive power of intuition and empowers the disciple with His ‘sankalpa’ (benign resolve) as well. When a farmer sows seeds in his farm, a stranger cannot tell whether the seeds are sown. But slowly and surely, when the seeds are watered and nurtured, they gradually sprout forth and only then there is proof that seeds were sown. Similarly, we are unaware of what is imparted unto us at the time of Mantra-Diksha. But when we water that seed in the form of spiritual practices and devotion, the hallowed grace of Mantra-Diksha does sprout forth. Diksha is of three kinds: Shambhavi-Diksha, Mantra-Diksha and Sparsh-Diksha. Shambhavi-Diksha is given through a glance as Shukdev Muni gave to king Parikshit on the fifth day of the seven-day long narration of the holy Srimad Bhagwat. Sparsh-Diksha is given through sparsh. Mantra-Diksha is given through a mantra. The greater the spiritual elevation of the Guru, the more effective is the mantra given by him. If an ignorant illiterate man tells you to chant ‘Rama’, it will not benefit you so much. But the same ‘Rama’ coming from the mouth of a God-realized Saint like Ramanandji (The Sadguru of Kabirji), becomes a powerful mantra. Kabirji performed japa of the mantra with faith and devotion and became accomplished. The mantra was the same ‘Rama’ but in this case the inner self of the Guru was perfect with enlightenment. If a peon says something, it does not carry much weight. But if the same thing is uttered by the Prime Minister, then it becomes very effective. The mantra given by Saints of great spiritual accomplishment delivers us when practised with faith and devotion. Mantra = manan (reflection) + antar (in heart); that which is to be reflected upon in the heart. Alternatively, mantra = mann (the mind) + tarr (deliver), that which delivers the mind from samsara. The smaller the mantra given at the time of Mantra-Diksha, the more rhythmic its recital and the more convenient and propitious it is for the aspirant. This leads him fast on the track of spiritual progress. Naradji was a Saint who was completely un-attached to any community or sect. His prime concern was the welfare of anyone coming in contact with him. Those who have the welfare of others close to their hearts, are ‘Lok Sants’ (Universal Saints). When Naradji initiated the robber, Valia, the mantra had a longer ‘Ra’ and a shorter ‘ma’, and ‘ma’ preceded the ‘Ra’. Valias, life-force was in the lower centres of the subtle body. Naradji gave the mantra knowing fully well that japa of ‘maRa’ would produce vibrations in those centers and gradually he would reach the higher centres without fail. He blessed Valia with Shambhavi-Diksha as well, thus transmitting his own spiritual energy unto him. Valia started japa of ‘maRa’ in right earnest. Gradually his Kundalini was awakened with the japa becoming more and more rhythmic, and thus the robber was transformed into Valmiki Rishi. यदि शरीर रूपवान हो, पत्नी भी रूपसी हो और सत्कीर्ति चारों दिशाओं में विस्तृत हो, मेरु पर्वत क तुल्य अपार धन हो किन्तु गुरु क श्रीचरणों में यदि मन आसक्त न हो तो इन सारी उपलब्धियों से क्या लाभ ? Every soul is destined to be perfect, and every being, in the end, will attain the state of perfection. Whatever we are now is the result of our acts and thoughts in the past; and whatever we shall be in the future will be the result of what we think end do now. But this, the shaping of our own destinies, does not preclude our receiving help from outside; nay, in the vast majority of cases such help is absolutely necessary. When it comes, the higher powers and possibilities of the soul are quickened, spiritual life is awakened, growth is animated, and man becomes holy and perfect in the end. This quickening impulse cannot be derived from books. The soul can only receive impulses from another soul, and from nothing else. We may study books all our lives, we may become very intellectual, but in the end we find that we have not developed at all spiritually. It is not true that a high order of intellectual development always goes hand in hand with a proportionate development of the spiritual side in Man. In studying books we are sometimes deluded into thinking that thereby we are being spiritually helped; but if we analyse the effect of the study of books on ourselves, we shall find that at the utmost it is only our intellect that derives profit from such studies, and not our inner spirit. This inadequacy of books to quicken spiritual growth is the reason why, although almost every one of us can speak most wonderfully on spiritual matters, when it comes to action and the living of a truly spiritual life, we find ourselves so awfully deficient. To quicken the spirit, the impulse must come from another soul. The person from whose soul such impulse comes is called the Guru — the teacher; and the person to whose soul the impulse is conveyed is called the Shishya — the student. To convey such an impulse to any soul, in the first place, the soul from which it proceeds must possess the power of transmitting it, as it were, to another; and in the second place, the soul to which it is transmitted must be fit to receive it. The seed must be a living seed, and the field must be ready ploughed; and when both these conditions are fulfilled, a wonderful growth of genuine religion takes place. “The true preacher of religion has to be of wonderful capabilities, and clever shall his hearer be” ; and when both of these are really wonderful and extraordinary, then will a splendid spiritual awakening result, and not otherwise. Religion, which is the highest knowledge and the highest wisdom, cannot be bought, nor can it be acquired from books. You may thrust your head into all the corners of the world, you may explore the Himalayas, the Alps, and the Caucasus, you may sound the bottom of the sea and pry into every nook of Tibet and the desert of Gobi, you will not find it anywhere until your heart is ready for receiving it and your Guru has come. And when that divinely appointed Guru comes, serve him with childlike confidence and simplicity, freely open your heart to his influence, and see in him God manifested. Those who come to seek truth with such a spirit of love and veneration, to them the Lord of Truth reveals the most wonderful things regarding truth, goodness, and beauty. From a doctor, you get a prescription. From two doctors, you get consultation. From three doctors, you get your own cremation. Even so, if you have many Gurus, you will be bewildered. You will be at a loss to know what to do. One Guru will tell you: “Do Soham Japa.” Another will tell you: “Do Japa of Sri Ram.” A third Guru will tell you: “Hear Anahata sounds.” You will be puzzled. Stick to one Guru and follow his instructions. Spiritual knowledge is a matter of Guru-Parampara. It is handed down from Guru to his disciple. Gaudapadacharya imparted Self-knowledge to his disciple Govindacharya; Govindacharya to his disciple Sankaracharya; Sankaracharya to his disciple Suresvaracharya. Matsyendranath imparted knowledge to his disciple Gorakhnath; Gorakhnath to Nivrittinath; Nivrittinath to Jnanadeva. Totapuri imparted knowledge to Sri Ramakrishna, and Ramakrishna to Swami Vivekananda. It was Ashtavakra who moulded the life of Raja Janaka. It was Gorakhnath who shaped the spiritual destiny of Raja Bhartrihari. 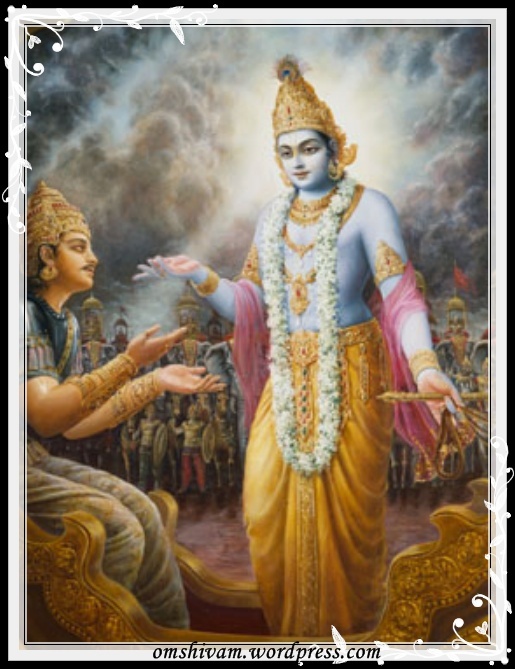 It was Lord Krishna who made Arjuna and Uddhava get themselves established in the spiritual path when their minds were in an unsettled state. 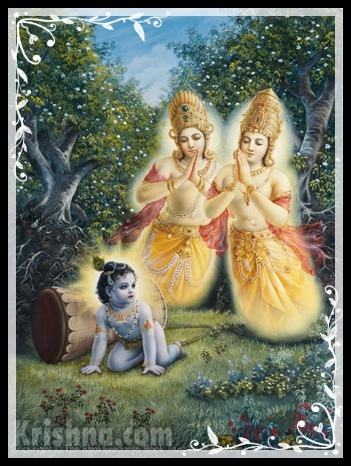 A Bhakta will be initiated by a Bhakta saint in the path of devotion. A Jnani will initiate a student of Vedanta in the Mahavakyas. A Hatha Yogi or Raja Yogi can initiate another in his particular path. But, a sage of perfect Realisation, a Purna Jnani or Purna Yogi, can give initiation in any particular path. A sage or saint like Sri Sankara or Madhusudhana Sarasvati can initiate a Sadhaka, in any particular path for which the aspirant is fit. The Guru will find out by close study of the aspirant his tastes, temperaments and capacity, and decide for him the most suitable path. If his heart is impure, the teacher will prescribe selfless service for a number of years. Then the Guru will find out for what particular path the student is fit and initiate him in that. Just as you can give an orange to a man, so also, spiritual power can be transmitted by one to another. This method of transmitting spiritual powers is termed Sakti-Sanchara. In Sakti-Sanchara, a certain spiritual vibration of the Satguru is actually transferred to the mind of the disciple. Spiritual power is transmitted by the Guru to the proper disciple whom he considers fit for Sakti-Sanchara. The Guru can transform the disciple by a look, a touch, a thought or a word or willing. Sakti-Sanchara comes through Parampara. It is a hidden mystic science. It is handed down from the Guru to the disciple. A disciple of Samartha Ramdas transmitted his power to that dancing girl’s daughter who was very passionate towards him. This disciple gazed at her and gave her Samadhi. Her passion vanished. She became very religious and spiritual. A medical student is required to do residency under the guidance of experienced doctor even after he/she has completed the studies from medical school; A law graduate needs to practice law under the guidance of an expert advocate; similarly in order to meet God, to move forward on this unknown path, one needs to take the help of somebody who knows the path very well. God is such an object, Truth is such an object which can be seen with eyes, smelled with nose and also tasted with tongue. That which is not a subject of physical senses, and that which keeps control over the sensory organs & mind, is your eternal soul or Atman. No sense organ has the power to reverse its nature to focus on your inner self. The Guru opens the door to our sixth sensory organ. He bestows us with the eye that can see the inner self, and the energy which can show us the Atman-Parmatman(i.e. the soul & the supreme soul). This means Guru bestows the God to the disciple, and the disciple accepts and digests that. The syllable “di” of the word diksha means bestowal of God and “ksha” means the energy to digest. This is how the word diksha is made. Diksha means to bestow & to digest. Bestowed by Guru & digested by the disciple. The one who does not have a Guru does not have a true well-wisher. Are you one of those who do not have someone to guide in this life & life beyond death and to show the righteous way to help ownself & others? In that case you are very helpless. Do you think that you are so brilliant and are so proud of your intelligence that you do not consider anybody more knowledgeable than you? Brother! This is the limit of self-pride! There are many types of diksha: by seeing with eyes (drishtipaat), by making a pledge (sankalpa), by touching with hands & by giving mantra. The type of diksha depends on capability. What is this capability? The capability of a disciple is faith and the capability of the Guru is affection. As a child is born when a bride & bridegroom unite with each other, similarly with the union of faith & affection a special kind of will-power develops in life and an appropriate Ishta (form of God, may be Vishnu, Shiva, Durga etc. ), mantra & spiritual practice gets decided for you so that you do not change that. Otherwise you will keep listening different things from different people and the person who is good in praising will sing songs of his Ishta & mantra, thus you will then desire to do the same. Sometimes you will go for ‘Yoga’ & at other times for ‘Vipashyana’, sometimes you will read ‘Vedanta’and at other times you will worship ‘Shri Ramakrishna’, sometimes you will go for God with form and at other times for form-less God. Getting married to the first likeable man/woman means that there be only one man/woman in our life. Similarly, taking a mantra means – there be only one dedication, mantra & Ishta in our life. Remember one more thing. Dedication alone arises the will-power. It alone makes one a devotee. It alone makes ones mind stable forever. God is something which is in complete equilibrium. When our mind also reaches equilibrium then both the objects in equilibrium become united. Therefore, the Guru gives us stability & sincere dedication in our Ishta, meditation, worship & mantra, and He also gives us whatever we desire. The Guru is all capable of giving & making others give. I say that all those who do not have a Guru are very unfortunate. Listen, even when one wants to gamble he needs someone to teach him gambling; if one wants to murder someone then also guidance of an experienced person is required; and then it is surprising that how you expect to complete your journey on this road to attain God, devotion & spiritualism without the guidance of a Guru. God can be attained in all countries, at all times, in all objects, in all persons & in all actions. It is just that you could not find someone who can teach you to recognize God and that is why you’ve not been able to realize God. Therefore, diksha is a very important part of not only spiritualism but part of life also. Life without diksha is equivalent to life of an animal.